Let' s start with a general view of the board, and then we will go deeper in the details. Most of the connectors and expansion header are in the top side of the board, together with the A20 and the RAM. There is room for a Flash chip. The models with the chip in place are a bit more expensive. 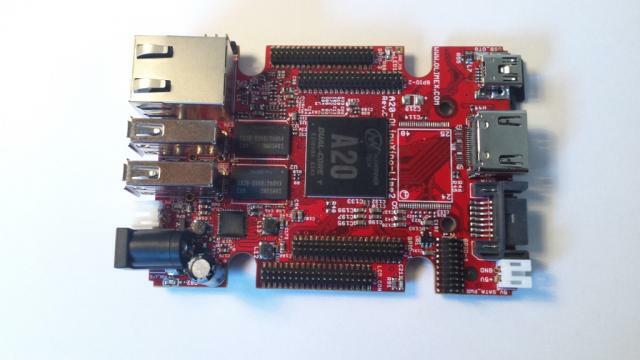 The bottom part includes the micro SDcard slot, three push buttons and a lot of SDM components. The LIME2 is quite small and compact. 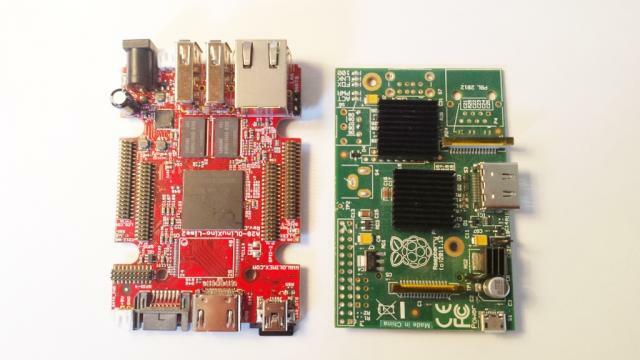 It is exactly the same size than the Raspberry pi, but offering a lot more features per square centimetre :). The picture below show both boards side by side. Let's look a bit more on detail to the provided connectors. In one side of the board we find the bigger connectors. The Ethernet connector, two host USB connectors, a classical barrel jack connector for the power and a JST connector for a external battery. 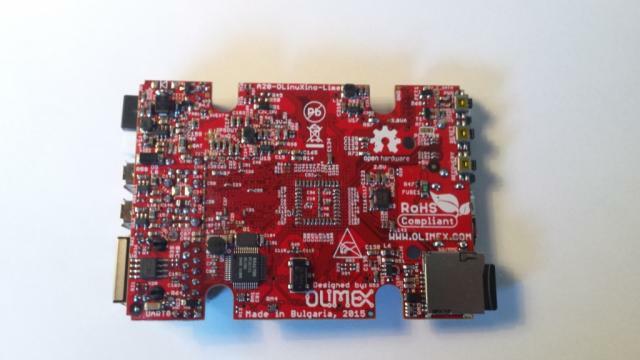 The OlinuXino LIME 2 comes with a LiPo battery connector with battery charging capabilities. I haven't tried it yet, but looks very convenient for building portable devices. 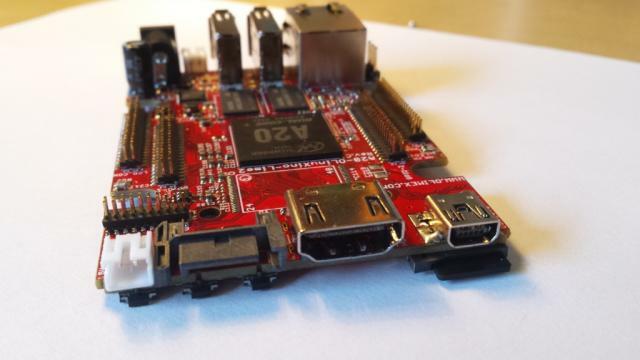 The opposite side of the board includes the rest of the connectors provided by the board: A HDMI interface, SATA interface (data and power as another JST connector) and USB OTG to use the board as a USB device. This side of the board also holds the micro SDcard slot and three push button both on the bottom side. 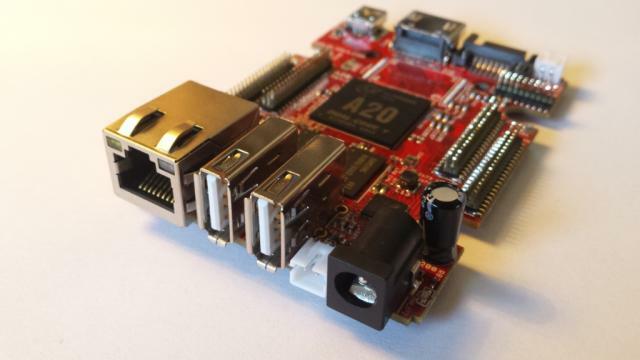 Overall, this is one of the most complete boards (connector wise) out there. You have all the main connectors you might need to build a small computer without needing any special HW hacking skills. The only missing element is an Audio interface. You can easily add one with a USB audio dongle or you can do some soldering. The mic and speakers lines are, in principle, in the expansion headers... not sure, however, how much additional circuitry might be necessary to bring those interfaces up. You will also need a micro SDcard to install the system. I already had one around :P.
If you are planning to do some hacking, do not forget to get some pin headers with the right size. As the title of this post says, so far I had got a very nice impression with this board. I installed the Debian version provided by Igor Pecovnik (http://www.igorpecovnik.com/2014/11/18/olimex-lime-debian-sd-image/) and they worked flawless. Overall, the board was pretty responsive. 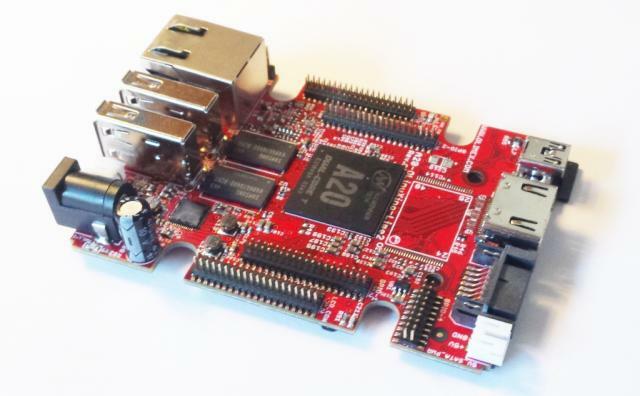 I mean, compared with the first generation of the Rpi, this board is pretty fast. 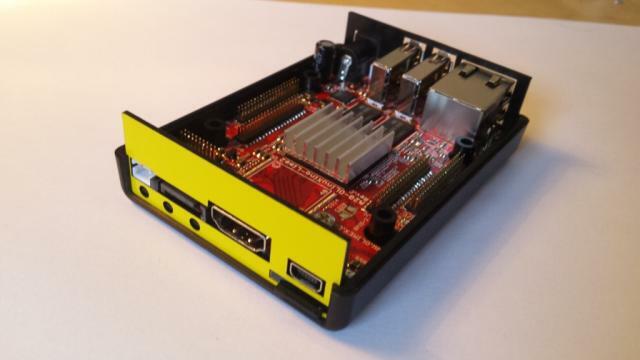 The SATA interface also worked without issues... which was one of main features of interest for me.